For someone who is still mulling things over about what to do about his more than five percent investment in Yahoo, hedge fund investor and activist shareholder Daniel Loeb has been very busy lately getting his arsenal ready. While deciding whether to mount a proxy fight — a potentially nasty public fight with the Silicon Valley Internet giant that sources said could start much earlier than the expected February 24 filing date to make a board challenge — he’s also had at least one phone meeting with new Yahoo CEO Scott Thompson in the last week to talk about the company’s future. Sources said the talk was cordial, although the pair were not yet discussing any kind of rapprochement, which presumably could lead to board seats for Loeb. But how far Loeb will go and how far Yahoo will give are the big open questions that are about to be answered. The earliest nominations for directors by outsiders like Loeb can be submitted is February 24. He then has a month after that to propose a competing slate. Starting last fall when he started accumulating Yahoo shares, Loeb had aggressively called for the ouster of Yahoo’s Chairman Roy Bostock and director and co-founder Jerry Yang. Yang stepped away from Yahoo earlier this month and Bostock just announced his upcoming departure this week. Despite the renewed communication with Yahoo, Loeb is still acting like he might opt to fight — or at least freak out Yahoo enough to cooperate. * Attempting to assemble an alternate slate of directors — including trying to persuade high-profile entrepreneurs such as David Goldberg and Max Levchin to join his board. Loeb has been to Silicon Valley several times to stir that pot. * Meeting with a spate of powerful tech execs, here and elsewhere, in order to gain support for his battle and search for his own preferred leaders for Yahoo. A favorite is Hulu CEO Jason Kilar. * Working on hiring a top outside crisis communications firm to handle the expected onslaught of media mudslinging that is sure to take place. * Buttonholing large Yahoo investors to join him and getting, sources said, more support than expected from bigger ones. That’s no surprise: Capital Research Global Investors and Capital World Investors, Yahoo’s biggest institutional shareholders, voted against the company’s board in its last proxy battle and has been much disgruntled with the latest Yahoo stumbles. * Recently reaching out to top Yahoo execs, including both Yahoo’s Chief Product Officer Blake Irving and Americas head Ross Levinsohn. Irving was so spooked by Loeb’s hello-there, several sources said, that he sent an email to Yahoo’s top staff about the contact attempt, noting he did not return the call (teacher’s pet alert!). These are, of course, classic activist tactics by Loeb, aimed at getting the changes he wants made at Yahoo by applying real and perceived pressure. Loeb had previously criticized the company’s talks with private equity investors, saying the prices being discussed were too low, which helped scuttle those talks. Yahoo has also tried to gird itself and to assuage other shareholders and the media, as it can hardly stand what a proxy fight will do to its already battered image. Some recent moves to look like it is on the move include: Loudly negotiating with its Asian partners for a big payday; making significant board changes; and hiring Thompson. Next up, as I previously reported, a large-scale restructuring and the inevitable cost-saving layoffs. 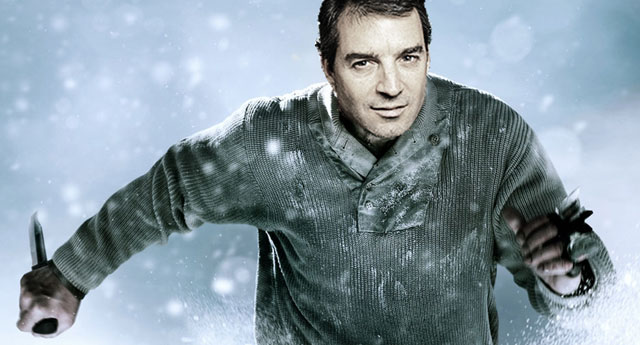 Who wins — and who blinks — in this Loeb versus Yahoo face-off, though, is still to be determined.